Due to implications in numerous house fires, the once common practice of using aluminum wiring during the late 1960’s and early 1970’s is no longer permitted in new installations in most jurisdictions. If your house has aluminum wiring you do not necessarily need to panic. 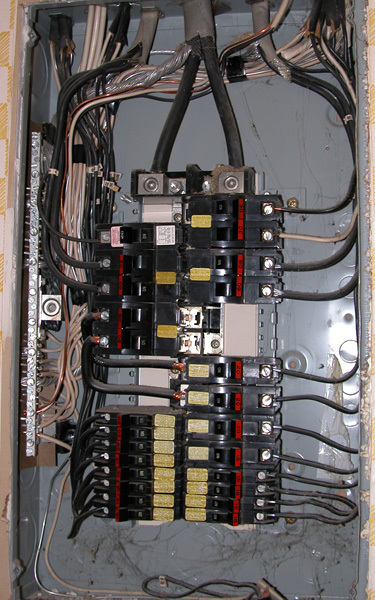 Aluminum wiring can be safe as long as it has been installed correctly and is maintained properly. The concern with aluminum wiring is that it is very unforgiving if it has been installed incorrectly. Aluminum wiring expands when it warms up, and contracts when it cools down. Aluminum reacts differently than copper wire after several warm/cooling cycles. After each cycle aluminum tends to lose more of its tightness. This process is often referred to as “cold creep”. Combined with aluminum’s tendency to oxidize when in contact with certain metals, these factors can lead to dangerous problems. When aluminum oxidizes it heats up more to conduct the same amount of electricity, which then causes more oxidation. Due to this cycle, eventually the wires may start to get very hot, melt the fixture that it attached to, and even possibly cause a fire. If you are considering purchasing a home with aluminum wiring, or have discovered it later, it would be a good idea to hire a licensed electrician to check over the wiring for any potential problems.